We all like to day dream about the "ultimate" in survival preps--the stuff we'd buy if we were stinking rich and had unlimited funds. The really cool stuff. This is the first in a series of articles detailing the "ultimate survival" preps. Survival preps that run into the hundreds of thousands or millions of dollars--basically how you'd do things if you had Bill Gates kind of money and price was no object. First up is the retreat. With your survival retreat, we all know you want remote, difficult to access, defensible and self sufficient. And what could fit that criteria better than your very own private island? Yep, you can buy islands. My favorite place to window shop is PrivateIslandsOnline.com--they've got a huge listing for islands for sale all across the world. Do some browsing. It's a fun time killer. What to look for when island shopping. When scouting out your island retreat, you'll need to take several things into consideration. As with all real estate, location is one of your prime concerns. You'll need to be very selective in where you position your Survival Island, for a number of reasons. Weather is a major concern--tsunamis, hurricanes and so on could do serious damage to an island compound. Also, all Islands will fall into the territory of some country--many of which are poor and have strict anti-gun laws. Some of these countries are outright 3rd world countries, with governments changing every few years. The S might hit the fan fairly often in these unstable areas, and you want to avoid that kind of chaos if at all possible. Even if your island is in the territorial waters of a stable, freedom loving country, you'll need to make sure that you're not too close to land, especially major metropolitan areas, docks and shipyards. For a land-based retreat, it's often said that you need to be more than one tank of gas away from major population centers. For ocean-going vessels, that single tank of gas could take them thousands of miles--so you will never be out of range of ocean going vessels. Instead, make sure that your island is out of the way and not visible from the mainland or highly populated islands. You'll want a decent sized island--enough space to build your compound, nuclear war bunker and set up the necessary systems to keep the island running and self sufficient. You obviously want an island fertile enough to grow food on and a source of fresh water would also be ideal. Having native wildlife, good fishing, or fruit-giving trees would also be a benefit. 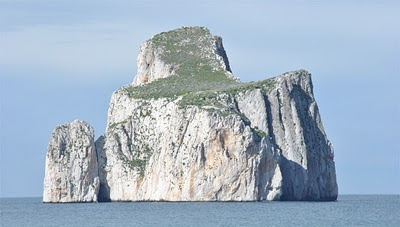 An island with only a single landing point, difficult approach and good visibility at the surrounding ocean could also be good in a defensive situation. Many private islands will already have some kind of buildings and construction on them--maybe a vacation home, a small resort, a plantation, etc. Others will have no construction at all. Either way, you will almost certainly need to have some serious construction done to turn the island into a self sufficient, defensible retreat. Facilities-wise, you will need a large garden area or fields for crops. In some locations, a plantation or orchard could be wise. For power generation, look for a combination of long-life diesel generators and renewable wind/solar power. If your island had no source of fresh water, you will either need some fairly large rain-catchment systems and accompanying cisterns or a desalination station. A hardened bunker/hurricane shelter is also a must-have for any uber-rich survivalist. You will of course need some kind of dock, and an airstrip or helicopter pad for your airborne transportation. Unless you have twenty or so children, you'll need a certain amount of manpower to keep the island running in top shape. Look for the same skillsets that every retreat seeks--a doctor, mechanics, an electrician, etc. Because of your Island location, you'll also want to make sure that you have people to run and maintain your off-island transportation. With your contacts and money, you should be able to put together a survival group of skilled, like-minded survivors. They will need bungalows or houses of their own. As with all retreats, you'll need to make sure that you lay in a good store of parts and spares to keep your equipment up and running. Your likelihood of bartering for replacements its next to nil. Even pre-TEOTWAWKI, taking anything in for repairs is a time-consuming proposition. You will need to have workshops, tools and machines necessary to make any potential repairs. With all that in place, you've got it about as good as you can get. Clear views of any approaching attackers. A big, built-in moat. Complete seclusion and privacy--unless you have helicopter riding paparazzi after you. A very defensible position. Remote location. Easy to quarantine yourself out from the outside world--handy for plagues, flus and zombie outbreaks. Your own castle with a gigantic built-in moat. So, you've established a sustainable survival paradise. You could hope that your remote location and isolation will keep you safe. It's not like the Golden Hordes are going to be walking up to your front door. You might be that lucky. But probably not. Unfortunately, even on a remote island, you'll still see lots of trouble come TEOTWAWKI. While you won't get the great masses seen on the mainlands, there will certainly be people who take to the seas.You won't be the only one thinking about riding out the hard times on a nice little hidden island somewhere. In some areas it will be worse than others. I would think the Caribbean would be especially bad--there are hundreds of small islands and a billion little boats, yachts and everything else. Regardless of your location, there's a great potential for pirates, refugees and desperate sea-borne survivors. Let's talk fortifications. For your retreat itself, you'll want to follow all of the general advice that applies to conventional retreats. But, because it's your island, you don't need to worry about HOA codes, rules or being especially discrete. Your retreat can be a stone or reinforced concrete fortress. Want electrified barbed wire fences? Go wild--build a hardened fort if you want. Scout out the approaches for landing vessels and build OPs, pill boxes and firing positions overlooking them. By day, you'll be able to see any visitors from miles off. That means that attacks will come under the cover of darkness. You'll need night vision--a must-have for defending your island fortress. Consider a Viet Cong-style tunnel system around your little isle, allowing you to traverse around it in secrecy and without exposing yourself to enemy fire. Weapons wise, you'll want long range and power. Any enemy will be approaching in a vehicle (boat or by air) and will be visible from miles off. You may also be dealing with fairly large ships loaded down with dozens of desperate pirates/thugs or starving people. 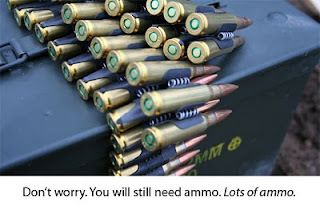 In US and other free countries, .50 BMG is what you want. And you're rich enough to afford a self sufficient private island, so you can afford some good stuff. A couple of guys in hardened positions with M2 Brownings and Barret sniper rifles would be quite the force to be reckoned with. If you were going to be tight on the cash, you could get a few semi-auto belt feds instead of the Brownings. If .50 is not feasible for whatever reason, then look to .308 or similar high-power rifle rounds. Range and power. Unfortunately for the ultra-rich island retreater, many island nations have very tough gun laws. 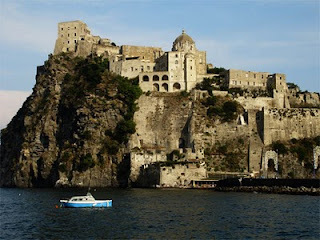 Of course, enough money can open doors, but this is a definite consideration for where to purchase your island fortress. We're red-blooded, firearms loving survivalists. Some of you might be thinking "Why don't I just declare independence and start my own country on my island? Then I could make whatever laws I want." Unfortunately, it's not so easy. This site explains the difficulties. If you had enough moola, you could certainly pull it off, but you'd need the money, manpower and firepower to back it up. And if you're not concerned with following the foolish laws of Island Nation X, you could almost certainly smuggle gear onto your island via your yacht, private jet or helicopter. One unconventional weapon to consider is the old blackpowder cannon--they worked in the old days, and few civilian vessels would be able to stand up to a salvo of cannon balls. Survival islands for the rest of us. Ok, so you don't have $20 million bucks sitting in the bank, waiting to be spent on a lavish island TEOTWAWKI retreat. There are less expensive islands on the market. Most aren't very big--a few acres-- and don't offer the desired remoteness. Some are in the middle of lakes, others just off the coast, others in less-expensive countries. A typical remote-land retreat will cost several hundred thousand dollars anyways--a small island is a possible alternative. PrivateIslandsOnline has quite a few sub-$250K listings. Check it out. What do you think? Is a well-equipped remote private island the ultimate survival retreat, or do you have something else in mind?